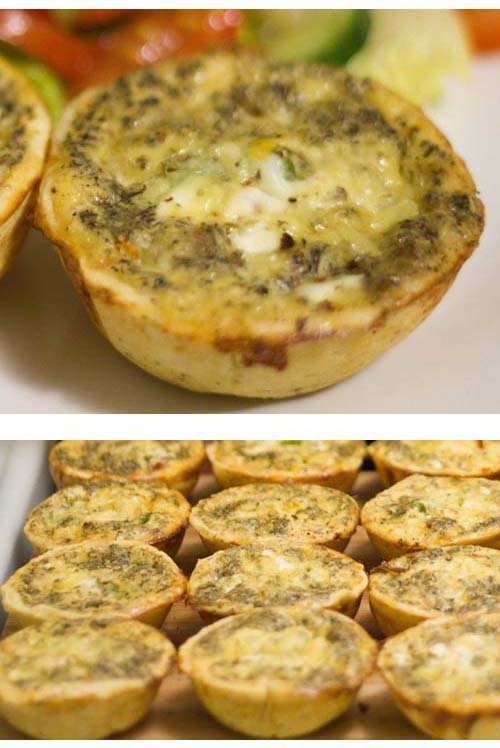 These delightful appetizers are shaped and baked using common cupcake cup trays. 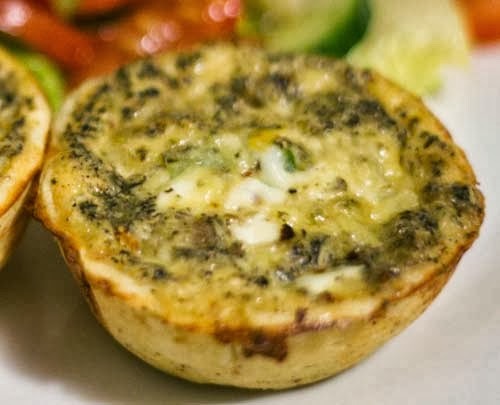 For the upcoming holidays, cup quiches should be a delicious welcome for our family guests. Before making party food, be sure to thaw crust if frozen. Needless to say that you can use pie crust made from scratch if you can't find a package of the Rolled Dough Pie Crust. I buy mine from Walmart and there are 3 of their stores within a 30 minute drive from my house. Preheat oven to 350 deg F.
In a frying pan, cook minced onions and green peppers in one teaspoon of oil for about 10 minutes. Remove from pan and set aside. Grease cupcake cups with butter or margarine. Using a glass or small bowl with a circumference slightly bigger than your cups, cut out circles of dough from the thawed crust. Line the inside of the cups with dough and press it in with your fingers. In a bowl, combine eggs and milk and beat / mix thoroughly. The mixture should be somewhat thick. Add cream or plain yogurt if need it to be thicker. Add seasonings and mix thoroughly. In another bowl, mix the fillings - onions, bacon, green pepper - together. 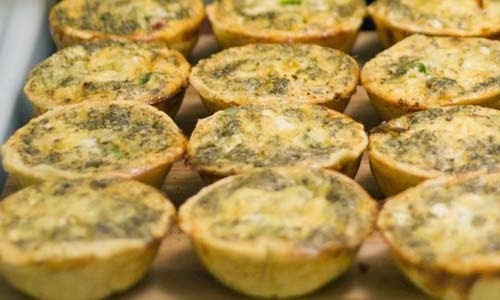 Using a spoon, scoop the fillings into the dough-lined cups up to 20%. Next, add a layer of grated cheese. Then fill the rest of the cup with the egg mixture. Top with a little more cheese. Repeat until all cups are filled. Sprinkle any extra filling on top as well. Bake in oven for 30 minutes or until the crusts begin to turn brown. Let cool before removing from the cup trays and serve.